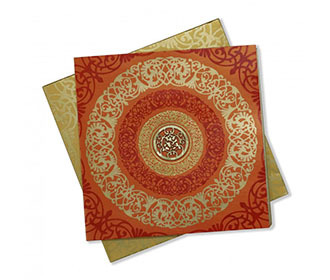 This beautiful multicolour Wedding Card is a traditional mix of beauty and stytle. 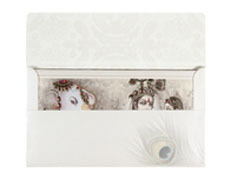 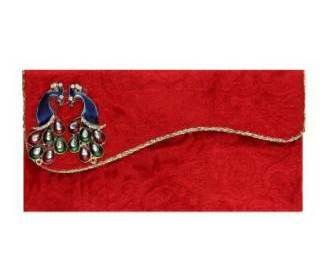 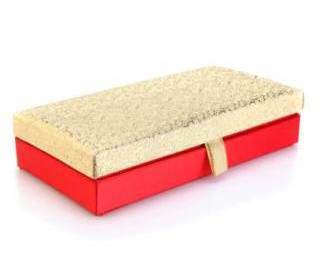 The card front and the envelope has a beautiful Radha Krishna picture decorated with embelishements in white and red stones with golden highlights for the jewels and foil borders. 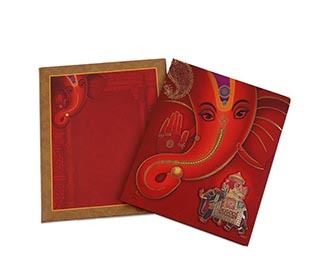 Also present is the decorated Ganesha on the left side of the card front. 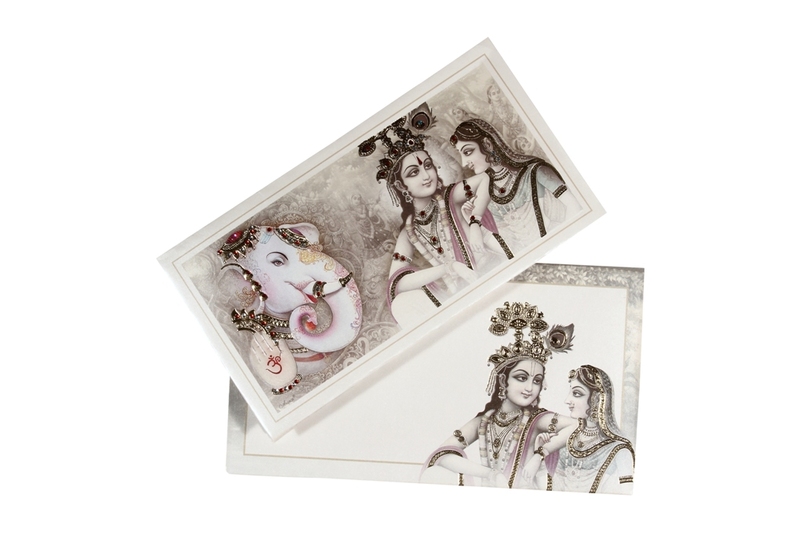 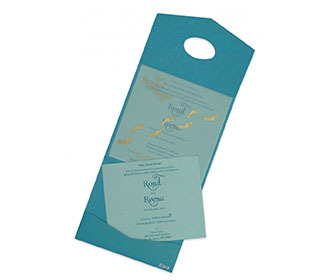 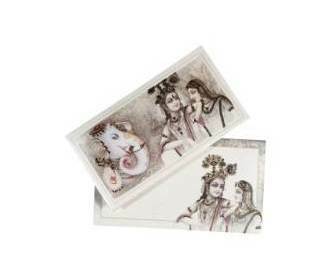 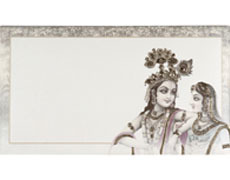 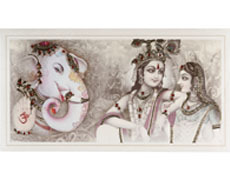 The look and feel of the card is royal with paintings of rasleela and Radha Krishna on a shimmering cornsilk color paper. 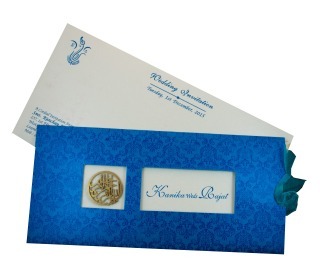 The inside of the envelope has a pale golden paisley design all over. 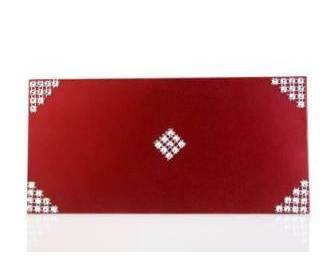 The traditional morpankh on the backside of the envelope adds to the beauty. 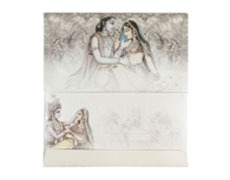 The card is exquisite and beautiful! 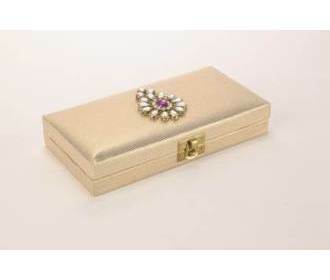 Usual order delivery times are 2-3 weeks. 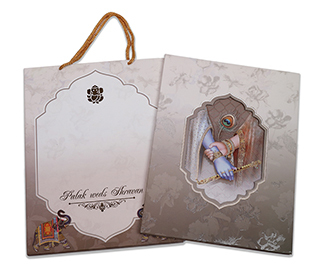 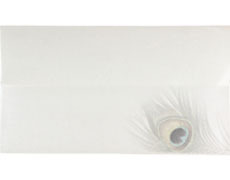 Additional time is needed for overseas shipments. 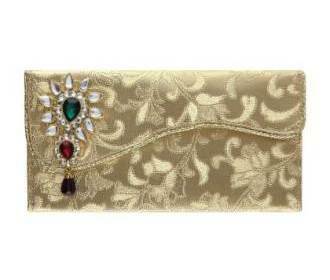 The payment is in INR and is converted to your local currency by the your credit card company or bank at rates decided by them.